Shipping goods or belongings overseas comes with an element of risk. 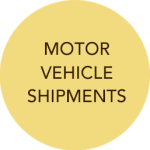 Shipments can become lost or damaged, leaving you facing substantial costs to replace or repair your cargo. And despite the widespread belief it’s your responsibility, not the carrier, to insure the products being shipped. 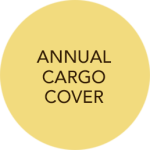 Cargo insurance will cover your shipment up to its full value, but the specific issues you’ll face when transporting your goods mean that for the best possible deal and cover, you’ll need expert advice. The Insurance Broker will provide that advice. Unlike other brokers, we specialise in the field of cargo insurance. We’ve spent years building a network of contacts amongst some of the world’s leading insurers, ensuring that we’ll always find you the best possible deal. We’re able to provide you with road, rail and air cargo insurance, along with sea cover that includes General Average insurance free of charge. And because we’re able to compare the entire insurance market, instead of a handful of preferred companies, we’ll find you complete cover at a price that won’t leave you reeling. In short, anyone transporting goods overseas needs cargo insurance cover. That ranges from businesses shipping products to foreign customers or buying goods from abroad to families starting a new life overseas. Despite the common misconception, your carrier won’t compensate you for the full value of your goods or belongings in the event of damage. Shipping companies are only liable to pay you a sum up to the amount specified in their trading conditions – a figure that may be as low as £1,300 per tonne. What’s more, without cargo insurance you may be liable for the damage or loss of other people’s goods thanks to General Average – which requires customers whose cargo survives a voyage to compensate anyone whose cargo was abandoned to protect the cargo vessel. Unless you’re happy to risk paying thousands of pounds for the damage or loss of your own (or someone else’s!) shipments, with the prospect of only a few pounds per kilo in compensation, you need cargo insurance. Protect your business’ products or your family’s belongings now. Call us on 01772 780 380 for a no-obligation cargo insurance quote.